A Gallop poll from the US showed 1 in 5 people in 2018 suffered from back pain severe enough to seek care from a health care provider. 62% of adults have consulted a health care provider at some point in their life for either neck pain or back pains. 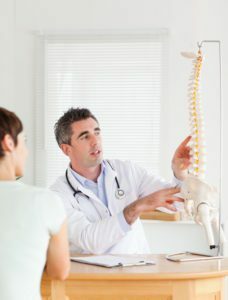 It seems that increasingly people are turning to chiropractic care - 62% of respondents saw a medical doctor and 53% or respondents sought care from a chiropractor. "The vast majority of neck and back pain patients who saw a chiropractor in the past year say their chiropractor listened to them (93%), their chiropractor provided convenient and quick care (91%), and that their chiropractor explained things well (88%). If you are suffering from neck pain or back pain, add chiropractic to the list of healthcare you are considering.